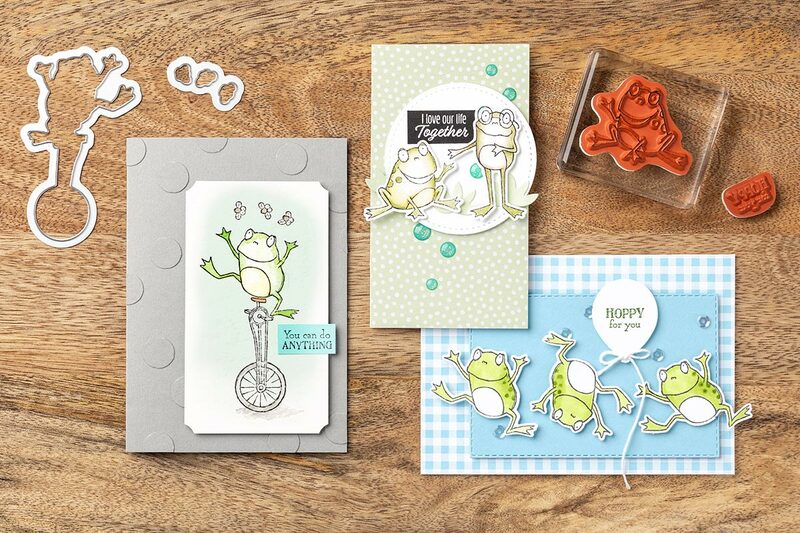 Hop on over to the Sale-A-Bration page, and really look at what all the So Hoppy Together Stamp Set offers. You’ll be so hoppy to see these adorable frogs, and you’ll jump for joy when you begin using them for different card types. The best part is, the Framelits that go with this Sale-A-Bration stamp set free also !! You earn both the stamp set and coordinating Framelits for free. This is one sale you should jump on because these products aren’t going to be around forever!